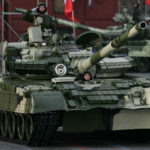 The Russian T-80U Tank was the second major upgrade of the T-80 Main Battle Tank series and is the most common production model exported and featured in the media. 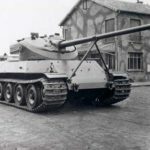 It featured improvements in firepower, armor and mobility. 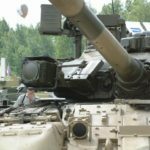 The T-80U could be identified quickly by the new large Kontakt-5 Explosive Reactive Armor mounted on the hull sides (which have handles along the bottom) and front x3 large protruding bricks on the hulls upper glacis as well as x4 Smoke Grenade Launchers mounted on the turrets sides. 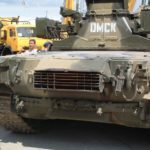 It also has the same rubber matting along the hulls front as the T-80BV. These keep the dust kicked up by the vehicle from getting into the air-cooling intakes of the engine. 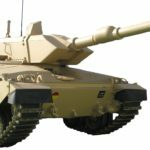 The T-80U was in short, a T-80B hull married to a new turret with other improvements. 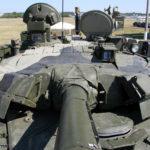 This turret was developed for an improved version for the T-64B Tank. It featured an enhanced Fire Control System and armored protection. It was decided to marry the new turret to the hull as a quicker option, rather than trying to integrate the upgrades into a T-80B turret. 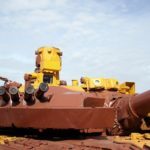 The new turret was known as the Obiekt 476 or Izdeliye 9A and when integrated to the T-80B hull, resulted in the Obiekt 219A. 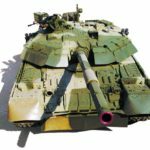 A second project called Obiekt 219V saw the integration of the GTD-1000TF gas turbine engine and a new barrel fired ATGM, the 9M119M Refleks. The final T-80U (U = usovershenstvovanniy: improved) design aka Obiekt 219AS, was the Obiekt 219A with the engine and ATGM capability of the Obiekt 219V. 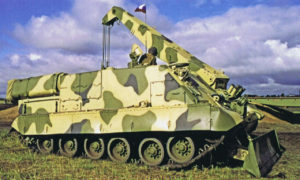 An initial batch of 20 vehicles for field trials (1983) saw the T-80U accepted into Russian Army service in 1985, followed by serial production in 1987. 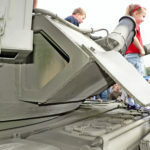 The T-80U retains the 2A46M-1 125mm smoothbore main gun of the T-80B. 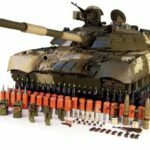 The 125mm ammunition load has increased to 45 rounds. 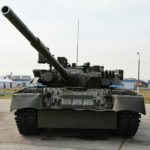 The T-80U uses the 1A45 fire-control system with the 1G46 Gunners Sight. This has an integrated 9S515 laser system for guiding the Refleks ATGM, which has increased the vehicles lethality up to 5km’s. Refleks guidance is laser-beam riding. The T-80U retains the Luna IR Search light. 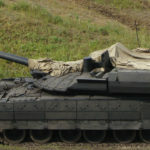 The T-80U featured a new laminate frontal armor. 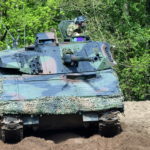 Additional protection was provided by a new universal Kontakt-5 Explosive Reactive Armor. 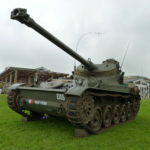 This was not an appliqué ERA package, but was integrated into the T-80U hull upper glacis and front sections of the hulls sides as well as the turret front and roof during the manufacturing process. 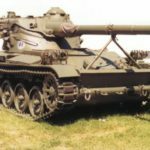 Kontakt-5 was not only more effective against Shape-Charged projectiles, but reduced the effectiveness of Kinetic Energy Penetrators (SABOT rounds) by 20-30%. The T-80U is now powered by a 1250hp GTD-1250 gas turbine engine. 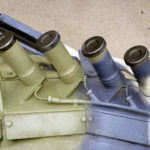 The manufacturers (KLIMOV) website, states that its developement started in 1986, meaning the initial GTD-1000TF engine used during the vehicles development and on the pre-production tanks, was replaced by the GTD-1250 sometime after 1986. 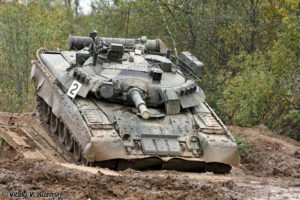 Command Version of the T-80U, it featured additional radio equipment, land navigation system, but most importantly the Shtora “Soft-Kill” Active Protection System. This has x2 laser jammers mounted on the turrets front. 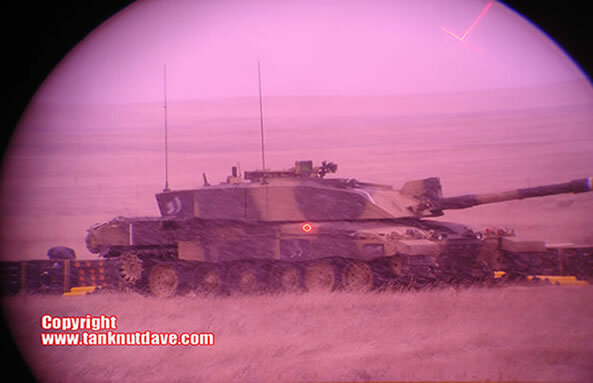 These jam the laser designator of Anti-Tank Guided Missiles like the American TOW, once the system detects a laser is “painting” the vehicle. It reacts by traversing the turret to the source of the laser so it’s jammed. The system can also fire passive countermeasures to obscure the vehicle from detection whilst it withdraws. 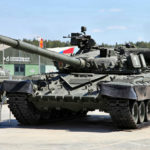 The T-80UK was not only exported, but served as a demonstrator for further enhanced T-80 models for the export market after the collapse of the Soviet Union. The Gas Turbine engine concept proved popular in some respects in terms of mobility, but had a negative effective on fuel consumption and engine service life. There were a number of projects experimenting with diesel engines as an alternative to the Gas Turbine. 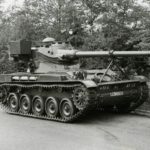 The Ukrainian manufacturer (Kharkov) of the T-80U built their own version using their own multi-fuel, two-stroke turbo-piston 6TD-1 6-cylinder diesel engine, which generated 1000hp.The T-80UD would go on to be developed into the T-84. Dedicated Page T-80UD Tank and Dedicated Page T-84. 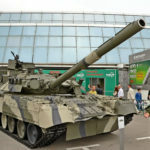 An export model offered by Omsk (T-80 Manufacturer) prior to its bankruptcy. 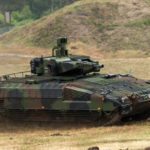 It featured the Arena “Hard-Kill” Active Protection System. 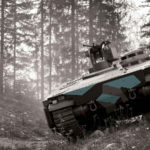 Arena has the ability to detect incoming threats like ATGM and launches a projectile into the path of the threat to destroy it. The vehicle remained at the demonstrator phase and was not exported. 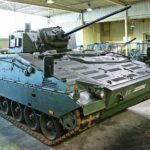 Another export model that featured the older Drozd “Hard-Kill” Active Protection System. The vehicle remained at the demonstrator phase and was not exported. 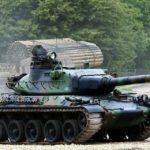 Greece – Trialled against several other tank including Challenger 2, Leclerc and Leopard 2, which was the eventual winner. Morocco – 5 were acquired in the late 1980’s for evaluation. 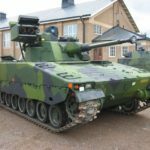 Sweden – Trialled in 1993, Sweden eventually with the Leopard 2 (Strv 122). United Kingdom – 1 sold to the UK in 1992 by Russia. Cyprus – 41 tanks including 14 T-80UK delivered between 1996–97. 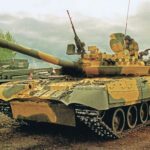 Pakistan – Ukraine supplied Pakistan with 320 T-80UD between 1997-99. 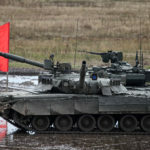 Russia – By 1991, a total of 4907 T-80 tanks were in service, mostly being T-80B & T-80BV. 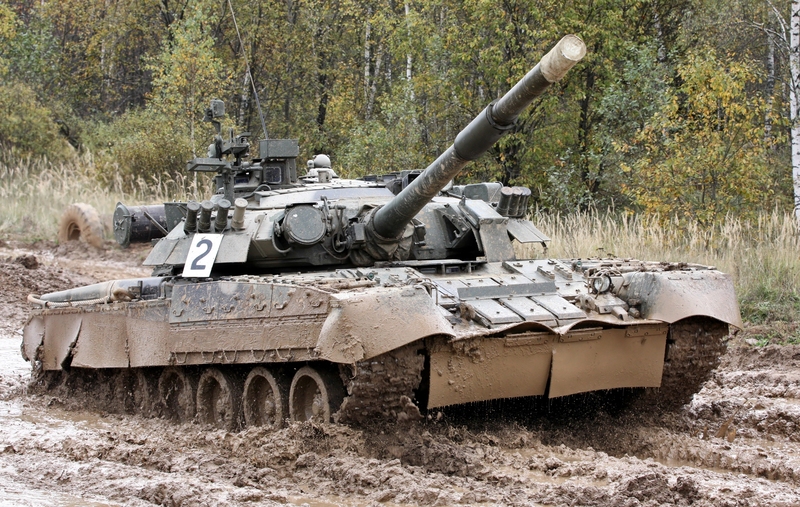 This number has declined with the purchase of T-90A and the losses the tank suffered during the Chechnya Wars. 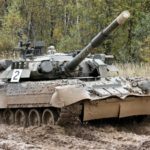 It was announced in 2017 that Russia will be taking a large number of T-80B/T-80BV out of storage and upgrading them. 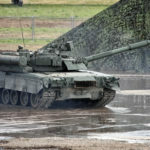 South Korea – 43 vehicles delivered in batches. First was for x33 delivered in 1996-97 and x10 2005-06. 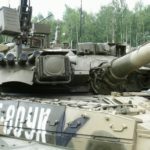 Ukraine – 350 T-80UD tanks were left in the manufacturers stock after the collapse of the USSR. Some remained with the Ukraine and others were exported to Pakistan.